The Do's & Don't's Of The First Date.. 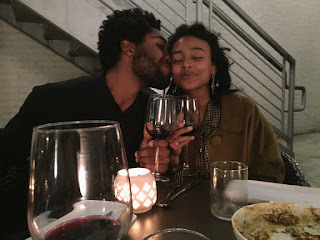 Earlier this year I wrote an article about the do’s and don’ts’ of dating, but after last week post I see that I have to touch that topic again. DO accept that a date is not a relationship. Remember that most dates are nights out with strangers—even if you've gone on three dates in one night. "It's OK to be excited, but take some time to get to know the person in front of you before you plan your future together in your head”. Like last year I went on a date with a guy, and he was the perfect gentleman. However, I made some rookie mistakes that jack up the whole date. So, this is where I step in again to give you the proper etiquette of dating. If you read my last article about this topic, then you know where I’m going with it. But I see it some new tips that I have to touch on as well. So, here are the do’s and don’ts’ of the first date. DON'T convince yourself you only have one "type." DO widen your definition of a compatible soulmate. Being more open doesn’t necessarily mean dating outside your race (but if you want to cross that water then go right ahead). It can also mean dating outside your comfort zone. Stop dating that one type that always let you down. Open yourself to the possibility that you can fall in love with someone who doesn't perfectly meet the criteria that you believe is your ideal or particular "type. Dating a safely net man will leave you single over, and over again. Furthermore, opening your mind will leave you to your soul mate or a new outlook on men. We all like the sound of our own voice but when you are trying to get to know your potential soulmate then it’s best to be quiet and take in what he's saying. Speak less and show your interest by listening more. Furthermore, you need to know exactly what you’re about to get yourself into. So, you need every clue you can get to know if you want to continue or to walk away. And it’s also best to ask questions as well. By now you know that you’re interested in this guy. So, it’s time to ask every question that come to mind showing that you want to know more about them. Listen, and take in the information and ask questions. Don’t spend too long talking about your past relationships. This subject is best mentioned and not elaborated on. Nobody wants to hear how much you loved your ex and how wonderful your life was with them. If you find yourself in the middle of this conversation I suggest you get Uber home. 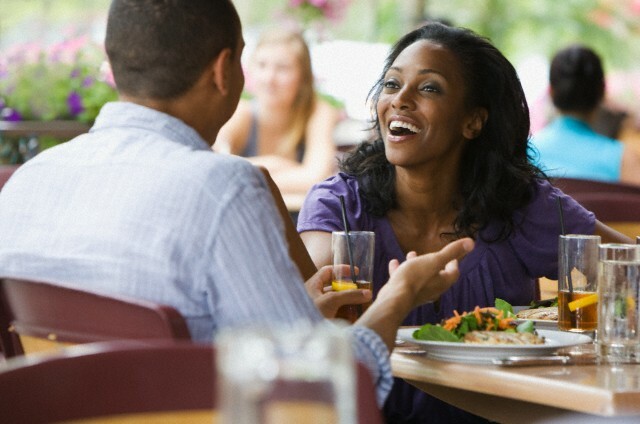 While it best to have this talk on the first date, this conversation is a 10 minute or less conversation. Don’t spend the evening comparing each other failed relationships. In truth, this is a test that a man gives a woman to see if she still has feelings for her ex. He wants to know before he asked you out again, if this man is still in the picture. Men don’t like to open up in the first place so the last thing he want to do is open himself up to a woman that still wishes she was with her ex. So, cut this topic short and make it straight to the point. The relationship between you two should start off in the best possible way. So, you should try to be totally honest on the first date. This is the way I see it. You should always be proud of expressing exactly who you are and what you're looking for and if it doesn’t sit well with them then you know that they aren’t the right person for you. Don’t lie like you aren’t looking for a husband, just to keep him around longer. The thing about dating is to keep dating until you find exactly what you want. Yes, it feels good for now but when you see that he’s not willing to change then you will wish that you didn’t too much time on him. So, be straightforward on what you want so you won’t have to waste any time. While you should be straightforward you should also enjoy the moment! 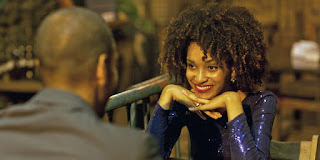 Forget what might happen, what could happen and just enjoy your date, focus on connecting and being happy in that moment. While you should be honest on what you are looking for, you don’t have to lay out all of your cards at once on your first date. While he’s trying to remember your first name you’re over here planning the honeymoon. So, slow down, and enjoy this date. We all despise dating. It’s a cruel joke played on us by society — while as human beings we are wired to seek love and companionship, our culture plops giant boulders in the path of intimacy and calls them “dates.” However, no matter how much we hate dating we still should give it our best shot. It like Carrie Bradshaw once said, “while we hate that awkward first date, nothing beat that magic of the first kiss”. So, go and be open to what life has to offer you and try to open your heart to that right person. This is a very thoughtful list, but I have some funny ones. Do make sure he's woke.